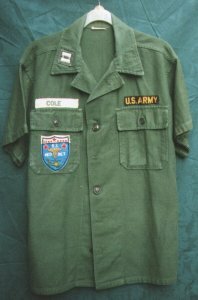 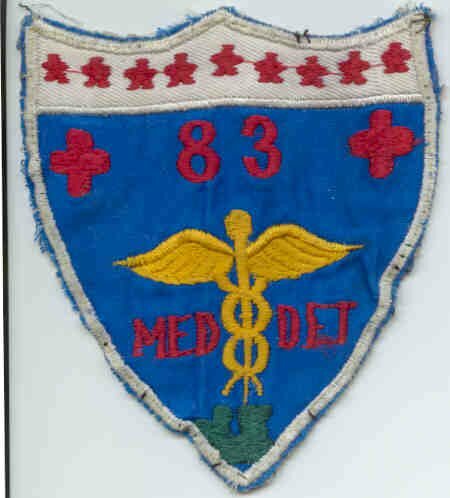 2 pocket, OG-107 fatigue�shirt, worn by Edward F. Cole, 1st Commander of the 83rd Med Det when it arrived in VN 1963. 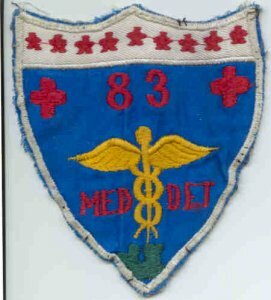 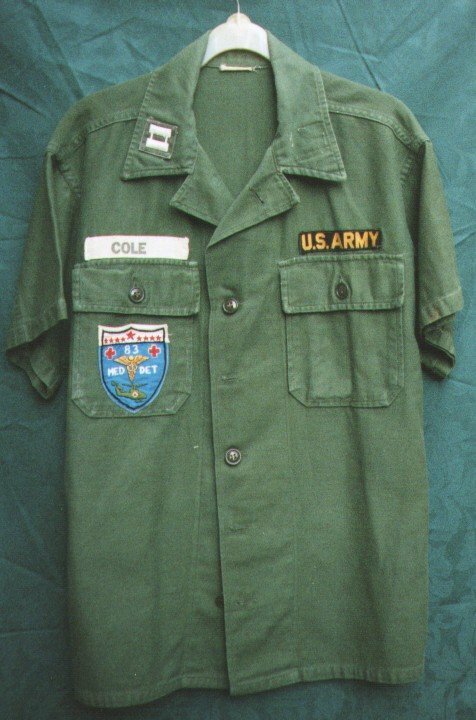 The 1st patch produced was Handmade by the teenage girls at the Vinh-Long orphanage, the large red star indicates Mr. Cole as commander, with 8 stars to represent the other detatchment members. 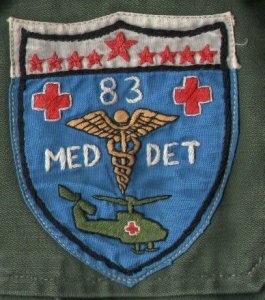 By 1967, the machine made patch had altered in both color and some detail. The stars remain, but on this example a larger size for commander has not be noted, and the lovely rendition of a medivac chopper from the first design, is an unrecognisable bulb.